At the end of a hard working day, a Brads man likes to clean up and get ready for a night of play. Use this gentle daily face wash any time of day to clean, clear and energize skin for a manly, well-groomed look. This 8 ounce. Bottle of scented daily face wash, packed with natural key ingredients, also soothes and hydrates the skin, prepping your face for a perfect shave upon every application. Now, whenever you're out on the town, you'll always be the best-looking guy around. Squeeze a liberal amount of Brads Facial Cleanser into hands, rubbing together to start foaming action. 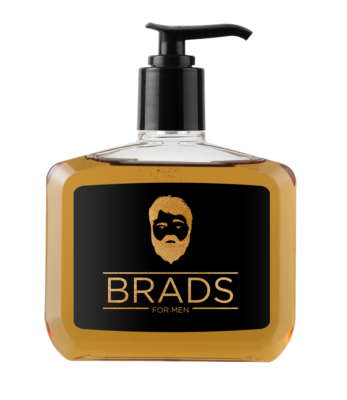 How to use Brads Facial Cleanser: wet face thoroughly, using warm to comfortably hot water. Work around entire face and neck. Rinse thoroughly, pat dry and finish with Brads after shave and face tonic.